Thanks to the mild, dry weather, pupils from Werrington and North Petherwin Primary Schools had a fantastic school trip to The Hidden Valley yesterday. Charles Dickens wrote 'A Christmas Carol"
After lunch and a play in the adventure playground, there were trails and a brilliant maze to explore. Some good teamwork was evident, as those who had made it to the central lookout, gave instructions to their friends below to guide them along the paths. To the delight of the children they also discovered a cute Hobbit House on the way to the rest of the park, which included another play area and The Vault. 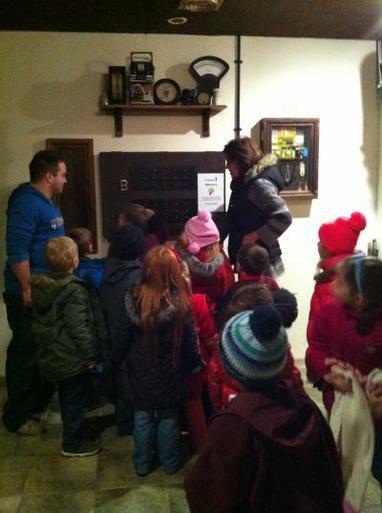 Groups of pupils and their adult leaders entered the Vault rooms to solve puzzles under time pressure. Thank you to the staff, parent helpers and both PTA's for assisting with the organisation of this enjoyable trip.